IMPORTANT: The law requires all children travelling in cars to use the correct child restraint until they are either 135 cm in height or the age of 12 (which ever they reach first). After this they must use an adult seat belt. If the passenger is under 12 years or 135cm, please click here to ensure your child is using the correct child seat & to see which of our products you can use. Full supportive, 5 point, front fastening harness. 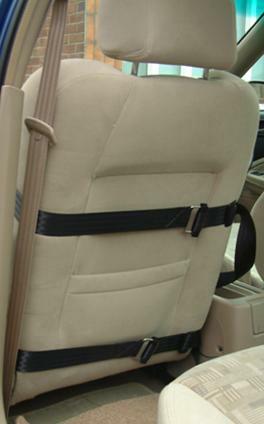 Waist belt is fitted with Steel Safety Buckle which is much more complicated to open for those passengers with inquisitive fingers, learning difficulties or challenging behaviour. It fits to the seat with two vertical fixing straps. For those seats where the back rest narrows the Model 27 is more suitable. 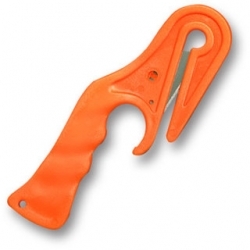 Front fastening harness for escapologists & challenging behaviour. Waist belt & chest belt is fitted with the Steel Safety Buckle which is much more complicated to open. For those seats where the back rest narrows the Model 32 is more suitable. Fully rear fastening harness complete with chest pad. & underneath the base of the seat. e.g. people carriers, mini buses or front passenger seat. Full 5 point harness with chest pad. 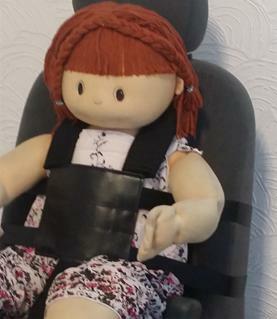 Body harness is fitted to the passenger "before"
passengers travelling in more than one vehicle. It fits to the seat with two horizontal fixing straps. Fits single seats, Aircraft seats & other types of single seating.